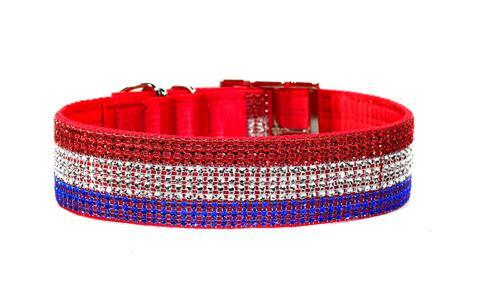 Super Bling collars are made with a sequin mesh that looks like glittery rhinestones. Tester dogs have reported that they have held up well to rough play and washing so they should be durable for daily wear. That said, salt, chlorine, swimming or really rough wear can shorten the life of any collar and these would be the same. The sequins can be a little scratchy on the inside which may be a problem for dogs with sensitive skin, my dogs and the tester dogs wore them without issue but they did not have any skin/itchiness issues. My long haired tester dog indicated they had no problem with hair getting caught in the sequins.